Below is a guide to finding the best dog shampoo for dry, itchy skin. Included is the matching conditioner for dry, itching skin. For any technical questions please email us at info@thebestpetshampoo.com! Soap free formula soothes dry, itchy, irritated skin with oatmeal protein and aloe vera gel. Helps relieve redness caused by exposure to harsh soaps. Will not rinse off topical flea treatments. Dilutes 16:1. Cologne Match: Showseason® Perfect Papaya. For Use On Dogs, Cats, Puppies & Kittens. 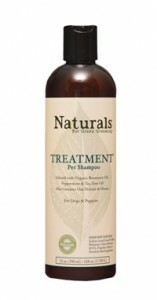 This powerful shampoo is fortified with a vitalizing elixir of tea tree, peppermint and rosemary to clean and treat the coat, as well as to help protect against dry, itchy or flaky skin. Tea Tree has long been used in treating skin conditions such as burns, blisters, dandruff & bites. Its antiseptic properties help control naturally occurring microbial levels that cause irritation. Dilutes 12:1. For Use On Dogs & Puppies. DO NOT USE ON CATS OR KITTENS. Since conditioners are left on the coat longer, providing more time for the absorption of its benefits, we enrich Nourish with moisturizing all natural honey, olive, jojoba and sunflower oil to deeply condition and give the coat a fuller, healthier look. Dilutes 10:1. Cologne Match: Showseason® Lavender Flowers. For Use On Dogs, Cats, Puppies & Kittens. 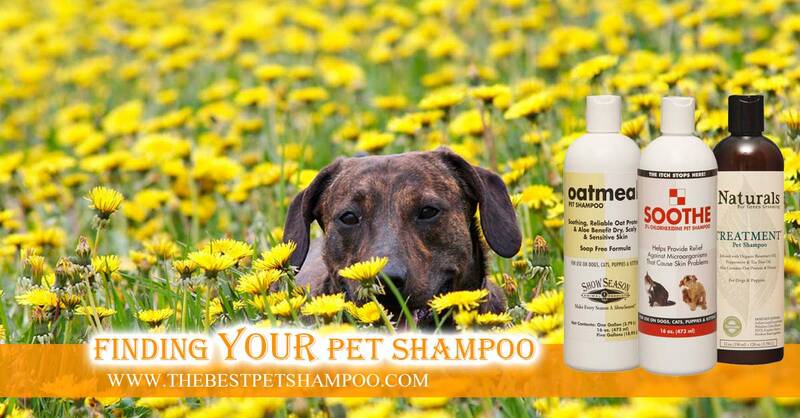 Easy diluting, ultra moisturizing pet conditioner. Formulated for bathing systems and septic systems. Dilutes 24:1. Cologne Match: Showseason® Peach Dream & Orchard Apple. For Use On Dogs, Cats, Puppies & Kittens. Protein enriched formula that instantly detangles, moisturizes & builds body. Soothes irritated skin and coat while helping repel dirt and dust. Enriched with moisturizing all natural honey, olive, jojoba and sunflower oil to help restore hair strength. Ready To Use. Cologne Match: Showseason® Lavender Flowers. For Use On Dogs, Cats, Puppies & Kittens. Antibacterial help for fighting pyodermas, demodicosis and microorganisms that cause skin problems while helping inhibit itching from fungal infections & flea bites. No need to use finishing sprays as this conditioner contains soothing aloe, sunflower & lanolin oil to moisturize skin & coat. For best results, use full strength but can be diluted up to 10:1. Active Ingredients: 3% Chlorhexidine Gluconate, .50% Benzyl Alcohol, .50% Copper Sulfate. For Use On Dogs & Puppies. DO NOT USE ON CATS OR KITTENS. Fantastic conditioning rinse that's made with modern silicones that do not suffer build up and actually seeks out damage on the hair cuticle to fill in "as needed" making coats soft and shiny. Drying time and static are reduced significantly on double coated breeds when using Chrome Coat as a final rinse or spray. Concentrate can be diluted up to 16:1 and can also be made into a finishing spray when diluted 32:1. Cologne Match: Showseason® Pacific Breeze. For Use On Dogs, Cats, Puppies & Kittens Case.